The Power of Consolidated Invoicing! DP Access has you covered with our consolidated invoice management platform - now with Smart Views™. Let us free up your staff’s time & cut the frustration, so they can be more effective on the tasks that are vital to strengthening your business. Our most sought after service is our invoice management and consolidated billing as a service (CBaaS) platform. Through our Smart Views™ dashboard, customers have immediate access to the most relevant invoice information needed to make quick assessments and decisions that reduce their company's expenses. This is all done through beautifully displayed 3-D graphics, which includes notifications that alert to both increases and decreases in expenditures. 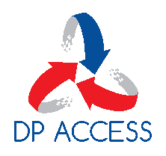 Additionally, DP Access will provide your business with the solutions that are essential for all your communication needs. This could range from a simple mobile plan for your staff, internet access, or we can cover the whole gamut; including vehicle & asset tracking. Learn more about some of the products and services we offer by watching the videos below!